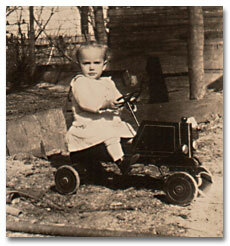 Thomas Lemuel Hamilton was born in Aiken, South Carolina, on March 29, 1907. His father, Lemuel Hamilton, was a former streetcar conductor who, after resigning from the Aiken-Augusta Railway Company in 1905, opened a grocery store in Graniteville, a small mill village outside of Aiken. 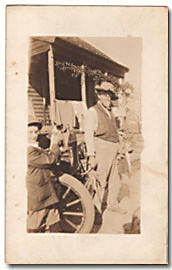 Lemuel Hamilton died in 1910, leaving Thomas, his younger brother Frampton, and their mother Eulalie (Wingard) Hamilton to return to her family’s home just outside of Aiken. The young widow eventually remarried, however, and together with her second husband gave birth to two daughters. Thomas and his brother “Wing” both graduated from the Aiken Institute, the local public grade school in Aiken. Thomas took to the grocery business early in life, working for the Atlantic & Pacific (A&P) grocery store chain, while Wing worked as a stable hand among the wealthy seasonal residents who made the town a famous winter resort for polo and equestrian enthusiasts. Thomas Hamilton joined the Ku Klux Klan in 1926, at the age of 19, amid the national publicity surrounding the murder of 3 African Americans near Aiken. The victims, all members of the Lowman family, were seized from jail and shot during a second trial for their alleged murder of a local white sheriff the previous year. 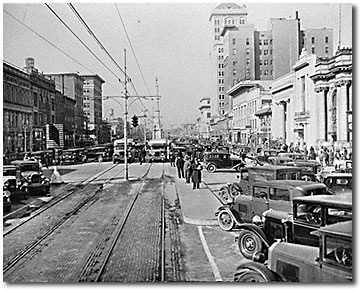 The Klan was almost equally as strong in nearby Augusta, Georgia, where the A&P transferred Thomas Hamilton in 1930. Hamilton’s arrival in Augusta coincided in fact with the creation of a new Klan klavern there—one organized by Hamilton’s future klan mentor, Dr. Samuel Green of Atlanta. 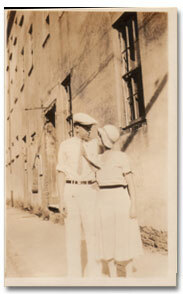 It was also in Augusta that Hamilton met and married Olive Ray, a native of Blackville, South Carolina. Olive Ray was a year older than Thomas Hamilton and a graduate of Winthrop College. She was on the staff of Davidson Grammar School at the time of her marriage, and she would become one of her husband’s most dedicated and hardworking co-conspirators in the Klan. The young couple initially lived on Walton Way, in a small apartment near the A&P store Hamilton managed, and it was here that their daughter (and only child) Sally was born. Though Thomas remained in the klan throughout the 1930s, he concentrated on other personal interests as the economic depression all but eliminated the local Augusta klaverns. He and Olive took a special interest in working at their church, the Woodlawn Baptist Church, where he was general director of the Baptist Training Unions and she helped with youth music programs and the choir. By 1940, Thomas Hamilton had left the A&P and was running a small grocery store on the southeast corner of Liberty and Silcox Streets, in a section of Augusta known as Frog Hollow. The store, owned by an elderly member of the Woodlawn Baptist Church, was located just two blocks east of the Chafee Street house to which Hamilton and his family had moved—a small wooden-frame structure just four doors down from the Woodlawn Baptist Church. 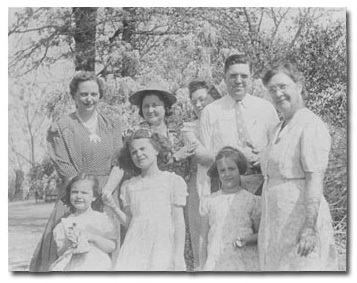 Thomas Hamilton and family on the eve of World War II. His mother is to his left, his daughter Sally stands in front of him, and his wife, Olive (wearing a hat) is to his right. World War II marked Thomas Hamilton’s emergence as a community leader in Augusta. 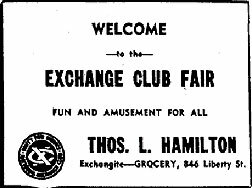 In addition to representing his church in Texas, at the national Southern Baptist Sunday School convention, Hamilton joined the Exchange Club. He also served on the county’s War Price and Rationing Board and became a central figure in the local Masonic order. Of particular importance to Hamilton himself was the fact that he became his own boss in the grocery business. 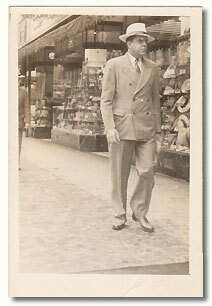 In 1944 he purchased the store on Liberty Street and renamed it Hamilton’s Grocery. ““It was an old house that had a store in front of it,” one of his relatives, a former employee later recalled. “Most of his customers—a lot of his customers were black.” More important, almost all of his customers lived outside of Frog Hollow. “We had very little walk in,” she continued. “A few people around there. Most of them were old. But I mean he delivered groceries to everybody.” Indeed, Hamilton’s business depended on telephone orders, which required constant advertising as well as a small fleet of bicycling black boys to deliver the orders. Yet Hamilton’s trip to Stone Mountain had as much to do with his hope of promoting the Klan’s resurrection as it did with any business conditions or government policies that might have angered or frustrated him. 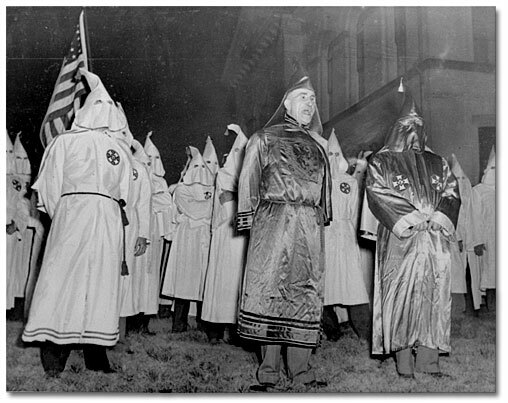 The Ku Klux Klan was entering an important transitional period in its history. New patterns of leadership and organizational structure were emerging within the Klan, at the same time that its opponents—both public and private, individuals and groups—were developing new and expanded ways to try to combat the organization. 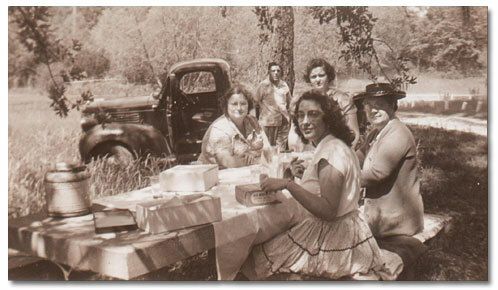 Thomas Hamilton and his family on a picnic, 1947. (Left to right): Olive, Thomas, Sally (standing), unidentified woman, and Hamilton’s mother (in hat). The meeting at Stone Mountain was the Klan’s first public demonstration since the Japanese attack on Pearl Harbor, and in the weeks preceding the spectacle, the man who organized it, Georgia’s Grand Dragon, Dr. Samuel Green, had officially re-registered the organization on state records as engaged in “fraternal” activities. More than 500 new members were initiated during the Klan’s fiery cross ceremony on Stone Mountain. From the sale of memberships, robes, masks, and hoods to gifts of free gas, meals, and accommodations, expanding the Klan meant money and favors for the organization’s top leaders——and Thomas Hamilton got a piece of the action. Shortly after the Stone Mountain meeting, Thomas Hamilton became an officer of the consolidated Augusta Klavern sanctioned by Georgia’s Grand Dragon Dr. Samuel Green. This is not to say that money was the chief motivating factor in Hamilton’s association with the Klan. It wasn’t. Thomas Hamilton had been a dues-paying klansman since the mid-1920s, when the organization’s formal program had stressed opposition to Catholics, blacks, and Jews. Yet the Aiken native seems always to have been more concerned with the so-called religious ideals of the Klan, especially the regulation of community morals and moral reform, than with issues of race and ethnicity. Indeed, long before he was ordained as one, many observers likened Thomas Hamilton to a Baptist preacher. Hamilton’s rise as a Klan leader occurred simultaneously with his rise to the top of the Masons fraternal organization in Augusta. Active alike in both the state and local commanderies of the Knights Templar Masons, Hamilton served as generalissimo of the Augusta Knights between 1946 and 1947, before being named head of the local Royal Arch Masons (with the designation of “high priest”) in December 1947. From that point on, Thomas Hamilton began neglecting his grocery business in favor of his Masonic and Klan activities. And his wife Olive worked diligently at his side, both for the Klan and for what was basically the women’s wing of Masonry, the Order of the Eastern Star. 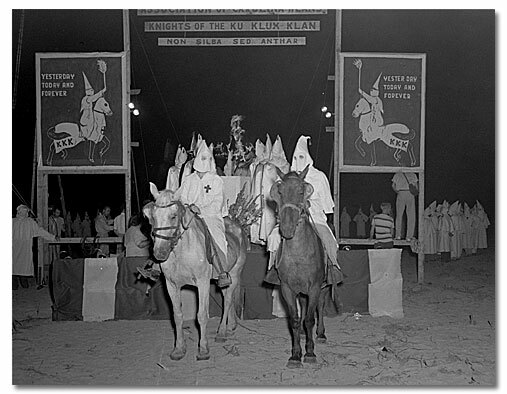 Within a day of Truman’s message, in fact, the Klan staged a nighttime march in Swainsboro, Georgia. And this was followed on March 2, on the eve of Georgia’s state Democratic primary, by a large Klan rally in nearby Wrightsville, Georgia, where some 400 African Americans had registered to vote. The Augusta Citizens Union condemned the Klan, as did St. Paul’s Episcopal Church and the Young Women’s Christian Association. But the Augusta Ministerial Association did not. The ministers voted to leave the Klan matter to individual churches and pastors. Thomas Hamilton played a central role in this “period of constructive planning and activity” by the Klan. In addition to his activities in southeast Georgia, Hamilton pursued what he later called “contact work . . . in the two Carolinas.” That is, he visited the few klaverns still operating in North and South Carolina and tried to mobilize potential sympathizers there to form local affiliates of new state Klan associations. Woodlawn’s revival was in its final days on November 2 when the States’ Rights Democratic Party, with South Carolina Governor Strom Thurmond at its head, won only 4 states in the presidential elections: Louisiana, Mississippi, Alabama, and South Carolina. Indeed, the party quickly dissolved in the aftermath of President Harry Truman’s upset victory in 1948. Hamilton and his family continued their efforts, however, to improve the Klan's image in Augusta. He and Olive led the local klavern in distributing food and money "toward brightening Christmas for Augusta's needy." 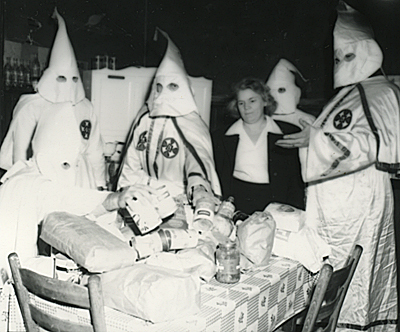 The Augusta Chronicle briefly described the Klan campaign in an article accompanied by a photograph showing Hamilton and other Klan leaders sorting canned goods as his daughter Sally watches. Though the Klan "spokesman" interviewed for the story was never identified by name, there can be little doubt it was Hamilton. Over the next several months, however, Thomas Hamilton all but abandoned his grocery business in Augusta in favor of organizing the Klan in his native South Carolina. And he did so with the support and encouragement of Georgia’s Grand Dragon, Dr. Samuel Green, who, in April 1949, chartered The Thomas L. Hamilton Klavern No. 42 in Langley, South Carolina—a town halfway between Augusta and Hamilton’s native Aiken. The job went to Sam Roper, however, a former Atlanta policeman who had also served as Director of the Georgia Bureau of Investigation. 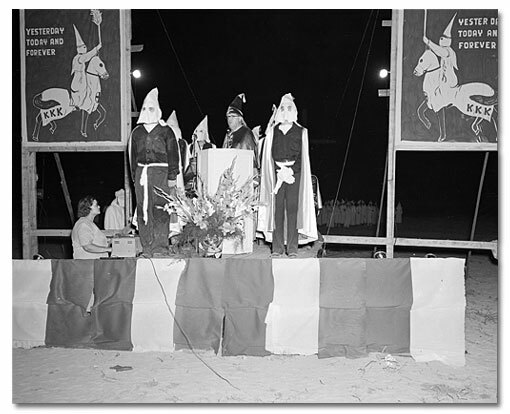 Although Roper tried to recast the Klan’s net nationally, by proclaiming himself Imperial Wizard of the Associated Klans of America, his effort divided the Klan in Alabama and led to a variety of splinter groups in Georgia and Florida. 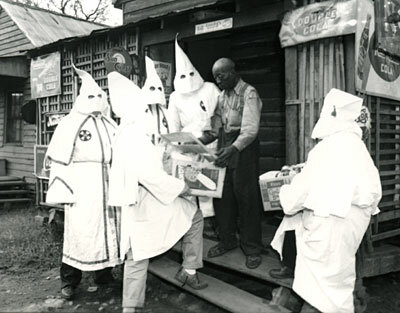 It also led Thomas Hamilton to sell his grocery store in Augusta and move to Leesville, South Carolina, where he began organizing (much to Roper’s chagrin) the Association of Carolina Klans. Hamilton told the Augusta Chronicle in November that “All Klaverns of the Ku Klux Klan in North and South Carolina were united this week in an organization known as the Association of Carolina Klans,” and that he, Thomas Hamilton, was the ACK’s Grand Dragon. In the meantime, Green’s successor in Georgia, Imperial Wizard Sam Roper, sent out North Carolina native Tommy Panther to counter Hamilton’s efforts in the state. From Charlotte, Greensboro, and Durham in the piedmont to Fayetteville, Lumberton, and Wilmington in the east, Panther emphasized that he was not organizing North Carolina for the “traitor” Hamilton. He “made it clear that he was organizing for the branch headed by ‘Imperial Wizard’ Sam W. Roper, head of the Georgia Association of Ku Klux Klans.” He also promised to cover the entire state and more. “We are going to organize a unit of Klan in every incorporated city and town in North Carolina and Virginia,” Panther said. Despite at least one appearance by Roper in North Carolina, neither his nor Hamilton’s Klan made much headway there, and early in February of 1950 Thomas Hamilton refocused his attention on South Carolina. On February 12—just a week before the start of a three-week Billy Graham revival in Columbia—Hamilton hosted local Klan leaders from throughout the state at a meeting of the Association of Carolina Klans. The meeting was held at the Thomas L. Hamilton Klavern No. 42 in Langley, South Carolina. According to records later seized from Hamilton’s house, the February meeting provided him with valuable information on current and former Klansmen as well as on potential Klan supporters throughout South Carolina. Hamilton also returned to North Carolina in the late spring of 1950. 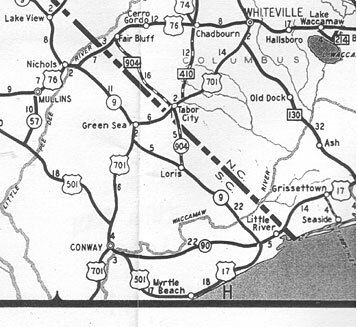 This time, however, he focused on towns in Columbus County (Chadbourn, Fair Bluff, Tabor City, and Whiteville, the county seat) near the state line shared with Horry County, South Carolina. To be sure, it was in this “border region” of Columbus County and Horry County (including the South Carolina towns of Conway, Loris, and Myrtle Beach), that Hamilton and the Association of Carolina Klans had their greatest impact. 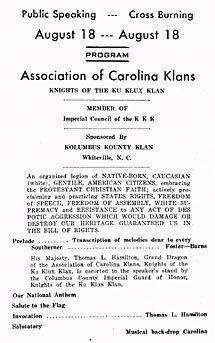 the Association of Carolina Klans was most active. Thomas Hamilton returned to Tabor City on Saturday night July 22 leading some 30 vehicles filled with Klansmen. Wailing sirens accompanied the motorcade as it cruised slowly past crowds of farming families in town to do their shopping for the week. Among those who watched the eerie procession was the young editor of the Tabor City Tribune, Horace Carter, who left his house to check out the commotion. Five weeks later, on August 26, Thomas Hamilton staged a motorcade in Myrtle Beach that resulted in the most violent and notorious incident in the brief history of the Association of Carolina Klans. In the meantime, the motorcade departed and Fitzgerald called the police station to report what the Klansmen had done, telling the dispatcher that “if they come back I was afraid there was going to be some trouble.” The Klan got word of Fitzgerald’s message around 11 p.m., just as the motorcade reached its destination in Loris, some 30 miles west of Myrtle Beach. Interpreting the message as a dare to the Klan, the motorcade reversed its course and returned to Charlie’s Place. From Fitzgerald’s description of what happened next, Thomas Hamilton was not in command of the klansmen when they returned to Charlie’s Place. In a pattern that would be repeated on many different occasions, Hamilton either lost or relinquished control to the local forces he had mobilized. He now stood and watched the melee that ensued. Hundreds of bullets were fired into Charlie’s Place, and though numerous injuries were reported that night—including those sustained by Charlie himself—the only man who died was James Daniel Johnston, a policeman and magistrate in nearby Conway. Shot in the back while inside of Charlie’s Place, Johnston was wearing a Klan robe over his policeman’s uniform. The incident had both sad and constructive legacies for Charlie Fitzgerald. After several months of hiding in the North—in New York, Philadelphia, and Baltimore—he returned to Myrtle Beach and a business that never recovered from the Klan’s devastating attack. During his exile in the North, however, he was taken to the Justice Department in Washington, D.C., by Walter White, secretary of the National Association for the Advancement of Colored People, and Thurgood Marshall, special counsel to the NAACP’s Legal Defense Fund. His statement to the FBI, when combined with pressure from White and Marshall, resulted in the Justice Department ordering the FBI to investigate the case. From that point on, the FBI kept a close watch on Thomas Hamilton and the Association of Carolina Klans. Shortly after the shootout at Charlie’s Place, the sheriff of Horry County, Ernest Sasser, arrested Hamilton and several other klansmen. The sheriff also seized and gave the FBI everything in Hamilton’s Leesville home that could be connected with the Klan. 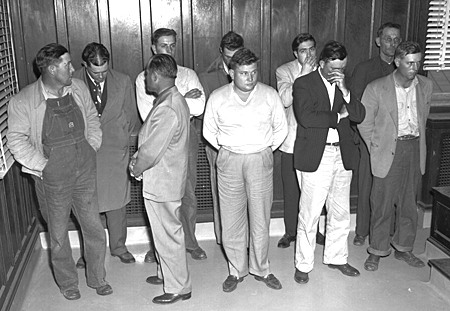 Though a preliminary hearing on September 30 found probable cause to hold Hamilton and the others for further trial, on October 5 a grand jury in Conway failed to indict any of the klansmen on charges that they had conspired to commit mob violence. Emboldened by the turn events, and riding on a wave of publicity, Hamilton decided in late October to hold a public rally and cross burning in Horry County on Saturday evening November 11, 1950—Armistice Day. Apparently, he hoped to make the most of the incident at Charlie’s Place. 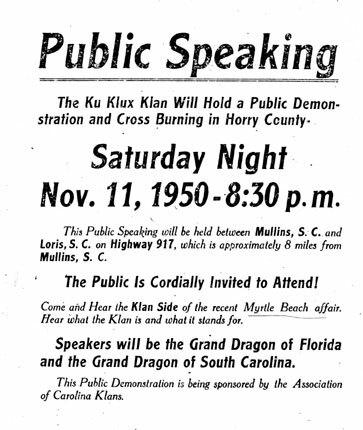 “Come and Hear the Klan Side of the of recent Myrtle Beach affair,” his handbills read. Columbus County’s first Klavern—the “Kolumbus Kounty Klavern”—was organized in Whiteville, N.C., the county seat, at about the same time as the November rally in nearby Horry County, S.C. The klavern held its first meeting in Whiteville at the American Legion hut, and among the first members of the new klavern was William. H. Farrell, a deputy sheriff subsequently hired as police chief of Whiteville. Shortly thereafter, at a meeting in Ocean Beach, S.C., the question of flogging Page and the Flowers couple came up again. 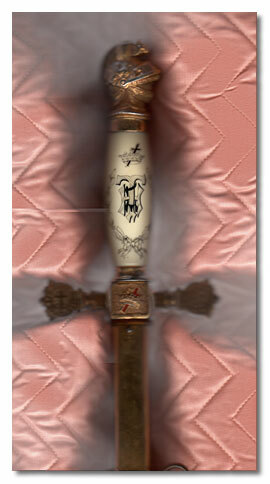 This time Hamilton allegedly said “to investigate the case, and to report back to the next meeting with drawn plans of the Flowers home.” Approval for the flogging finally came in mid-January 1951 at a meeting in Crescent Beach, S.C., where Hamilton was joined by Florida’s Grand Dragon, Bill Hendrix. Hamilton reportedly selected the floggers at the meeting and then, after offering his regrets at not being able to join them (because “he had other business”), he told them: “Give ‘em good whipping or you’ll have to do it again.” His admonishment would come back to haunt him. That same evening seven robed and hooded Klansmen flogged two white men down in Horry County, S.C. Sheriff Ernest Sasser arrested 7 men for the incident, and promised to deputize local citizens to help quell any further disturbances. The Klan responded by printing and dispersing the KKK News. These small manila cards described Sasser as corrupt and ineffective, and also threatened retaliation by the Klan against any citizen he might deputize to work against it. 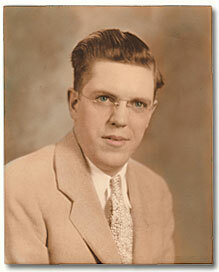 Thomas Hamilton then staged a second Klan motorcade through Tabor City on May 19, 1951. This time, however, he received a summons when returning to South Carolina “for having an illegal red light in the form of a cross on the front of his auto . . .” Carter also responded angrily to the motorcade with a front-page editorial in the Tribune. In it, he linked the Klan’s resurgence to the breakdown of government at all levels in the United States. Hamilton responded with a long letter of his own, which Carter promptly published in its entirety along with his own equally long rebuttal to Hamilton. Thomas Hamilton now shifted the line of engagement from the pages of Carter’s newspaper to the fields of Columbus County. On August 18, he and Hendrix staged a “Public Speaking and Cross Burning” in a dusty cornfield between Whiteville and Tabor City, N.C. Though the crowd at the rally was smaller than the one in Horry County, both the media and law enforcement agencies were well represented. "Photographers and reporters were here from near and far," Willard Cole reported in the Whiteville News Reporter. "Life magazine had four men working on the story. A photographer and a reporter came from as far away as Danville." The state of North Carolina also sent 72 highway patrolmen to the rally, as well as several State Bureau of Investigation agents, and they were joined by about a dozen deputy sheriffs from Columbus County. The Klansmen also handed out a four-page program that included both the order of events for the rally and a questionnaire for potential Klan members. The editor of the Whiteville News Reporter, Willard Cole, had to admit "that there was more than average interest" from the spectators. "The rush to get KKK literature after the speaking was over and the meeting broke up seemed to indicate that new members were making application by the score." From that point on, however, the fiery cross began to smolder for the Grand Dragon and his Association of Carolina Klans. By September it was clear that Hamilton would be tried in Columbia, S.C., on federal charges for sending post cards through the mail that were “obviously intended to reflect upon the character and conduct” of former United States Senator Wilton Hall, an anti-Klan radio, television, and newspaper owner from Anderson, S. C. Convicted by a federal jury on October 30, 1951, Hamilton paid a $1,000 fine rather than spend a year in prison. In the meantime, a wave of floggings rolled across Columbus County as local Klan leaders seized for themselves whatever power and control Hamilton had wielded through the ACK klaverns in the county. 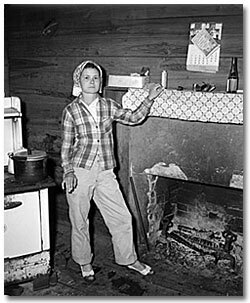 Of the 10 reported floggings that occurred between October 1951 and January 1952, 8 involved white victims; almost all involved several individuals who knew one another; and all were administered for such alleged moral crimes as adultery, making moonshine, excessive drinking, not going to church, physical abuse, and failure to provide for dependents. 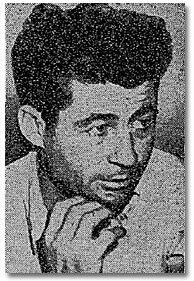 The most vicious and active klavern was led by Early Brooks in Fair Bluff, N.C. Born and raised in southwest Georgia, Brooks was a former Fair Bluff policeman who had committed at least one murder, and probably two, before the Klan uprising began. More to the point, on the night of October 8, 1951, Brooks organized and led the first and most important flogging during this reign of terror in Columbus County. Brooks and two other Klansman seized Dorothy Martin, 27, and Ben Grainger, 40, from Martin’s mother’s home near Fair Bluff, and together with a group of 8 other Klansmen, transported the couple to a remote spot, where they were whipped for the alleged crimes of adultery, not attending church, and making moonshine. What the evidence suggests, however, is that the incident actually reflected a personal dispute between Brooks, Grainger, and Martin. Regardless of the mixture of motives at work, Brooks and his fellow Klansmen committed a federal crime when they carried Grainger and Martin from the couple’s home in North Carolina to the flogging site in South Carolina. The incident gave the FBI just what it needed to move from being a concerned observer at work in the shadows to a powerful, high-profile participant in challenging the Klan. Three weeks later, on February 16, 1952, some 35 agents from the FBI, the State Bureau of Investigation, and the sheriff’s office arrested Brooks and 10 other former klansmen for the kidnapping and flogging of Dorothy Martin and Ben Grainger. Dozens of other Klansmen were arrested in the weeks and months that followed, almost all on state charges, and by the spring of 1952, close to 100 klansmen had been arrested, convicted, and sentenced or were awaiting trial. 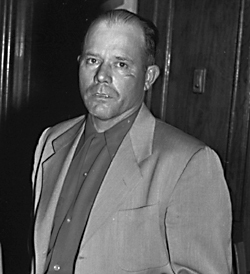 Early Brooks was convicted in federal court in May of 1952 and sentenced to 5 years in prison for the kidnapping and assault of Grainger and Martin. He was also sentenced to two years in prison on separate charges in state court. Ben Grainger and Dorothy Martin. Early Brooks is on the front row, second from left. Thomas Hamilton was arrested in Florence, S.C., on May 24, 1952, and charged with two counts of conspiracy to assault in the Evergreen Flowers case. After his $10,000 bond was paid by the mother of his attorney, he returned to Columbus County, where on May 26, another women, Mrs. Roger Bullock, paid $10,000 for his bail: $5,000 for each of the two charges against him. 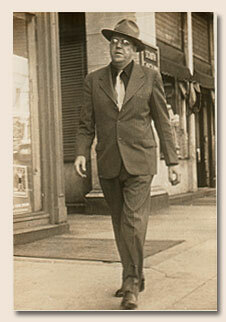 Once out on bond, Hamilton continued to organize and hold rallies for the Klan. Indeed, just 36 hours before his trial began on July 21, the Grand Dragon of the ACK staged a rally attended by an estimated 2,000 persons at Johnsonville, S.C.
After initially pleading innocent to the charges, Hamilton entered a plea of guilty on July 22 and confessed to the conspiracy charges against him. One week later, he was sentenced to four years in prison (two years each for the two counts of conspiracy). Yet only in October, after being granted a delay because of Olive’s health problems (a hysterectomy for cancer), did Thomas Hamilton begin his sentence. 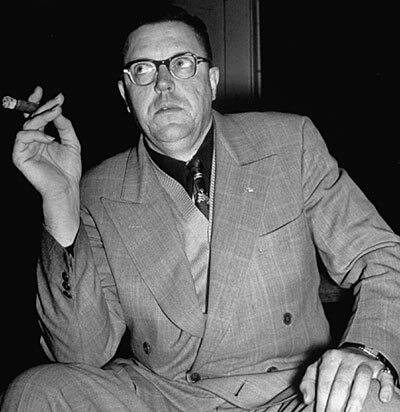 Thomas Hamilton was paroled 4 months later, in February 1954, after 17 months in prison. He and Olive eventually settled in North Augusta, S.C., where they lived with their daughter Sally until her death from cancer in the 1960s. Thomas Hamilton was eventually ordained as a Baptist minister and went on to serve several small churches in the North Augusta area. 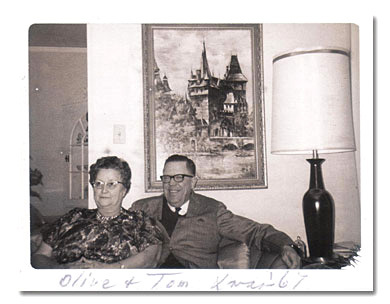 He died on September 29, 1976, at the age of 69, and his wife Olive died in 1985.